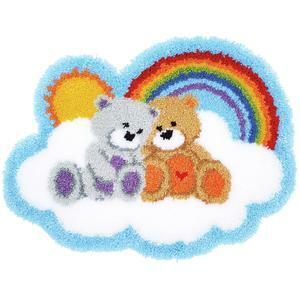 Care Bears Design Latch Hook Kit From Vervaco 70x53cm 1 brown and 1 grey bear, nestling on a white cloud on a blue sky, sunshine and rainbow background. 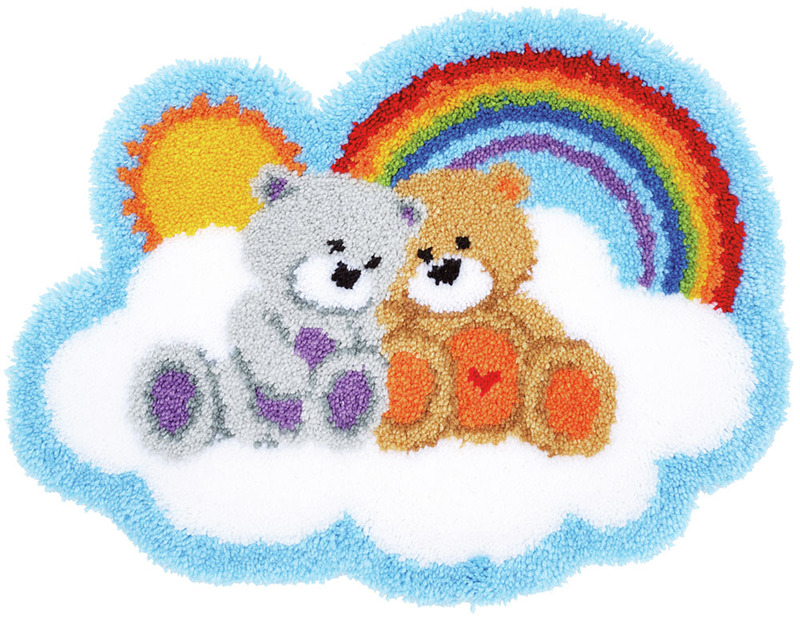 This latch hook kit is easy to make and will look beautiful in a baby's nursery. It is a gender neutral latch hook kit so could be easily latched during a pregnancy! The kit contains handpainted 4.5 mesh latch hook canvas, pre-cut acrylic yarn in bundles of separate colours, latch hook tool, rug binding and illustrated instructions. Please note - all Vervaco kits have the canvas carefully printed so you do not need a paper pattern. All you do is match the yarn to the colours on the canvas and work directly onto the pattern.